Download this episode with actress/writer Cory Oliver and actor/comedian John Mendoza! Skyler and Steve spend way too much time adjusting their headphone volumes while talking of their auditions and bookings for the week. Engineer Sean talks of his potentially budding acting career. 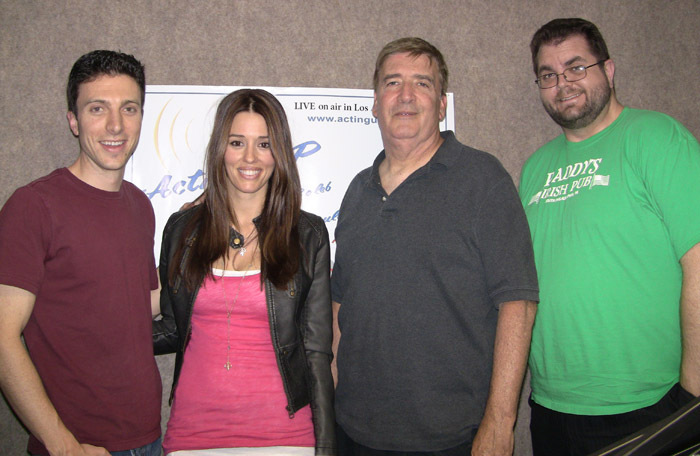 John Mendoza and Cory Oliver join Skyler and Steve in the studio to talk about acting and comedy! John talks about getting the show Hidden Howie off the ground, as well as touring with Howie Mandel. Cory talks about her award winning screenplay Jack & Jill and various projects she's done, from Baseketball and 90210, to The Young and the Restless, and the reality show she's developing. John talks about his long standup career, headlining across the country, and various shows he's been in like Two and a Half Men and NYPD Blue. John and Cory take listener calls.